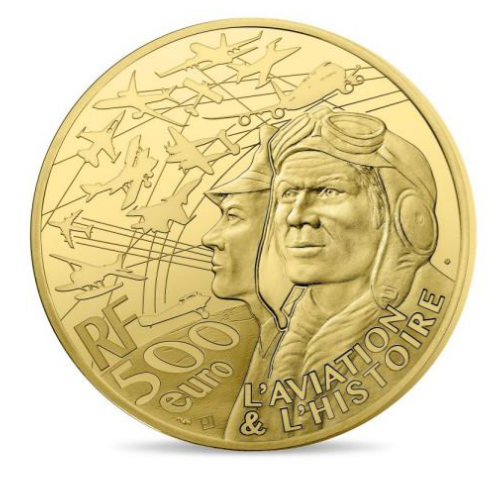 The Monnaie de Paris have issued new gold and silver coins which pay tribute to one of its most well-known transport planes that took part in some of Europe’s most important supply and relief missions after the Second World War. 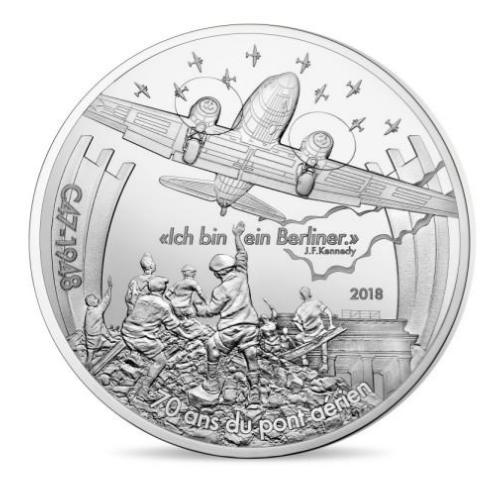 The Berlin Airlift, in which vital supplies of food and medicine were delivered to the citizens of West Berlin, located in the East German sector of the allied occupation forces, took place 70 years ago this year and is also commemorated on the new coins. With Germany having been divided into sectors of occupation following the cessation of hostilities in Europe in May 1945, the sector of Germany which had been occupied by the USSR, and included a sector the county’s capital of Berlin, had been essentially blockaded from the rest of Germany. The capital itself had also been divided between the allies of the United States, Great Britain, France, and the USSR, who were responsible for the administration of their sectors. The United States, Great Britain, and France co-ordinated their efforts in administration but the USSR had cut off the citizens of their sector from the rest of Berlin, which included vital supplies such as food and medicine. With the formation of the German Democratic Republic (East Germany, 1948-1990), supported by the USSR, and the establishment of the Federal Republic of Germany (West Germany), made up of the three sectors of the western allies, West Berlin was now fully blockaded by the USSR and becoming more and more isolated with heavy borders being erected. As the crucial need for supplies was growing by the day and Berliners were now cut off from each other, the western allies devised a programme where they would airlift what West Berlin needed for their very survival. The government of France elected to participate and ushered in the service of their own Douglas DC-3 (designated Dakota by the RAF) transport planes. Designed in 1936 by aircraft manufacturer McDonnell Douglas, these workhorses of the sky were first used for air transport during D-Day in 1944 with the delivery of troops and supplies vital to keep the new frontline operational. However, one of the plane’s most famous missions would be the Berlin airlift organised to supply West Berlin, due to the Soviet Union’s Blockade. 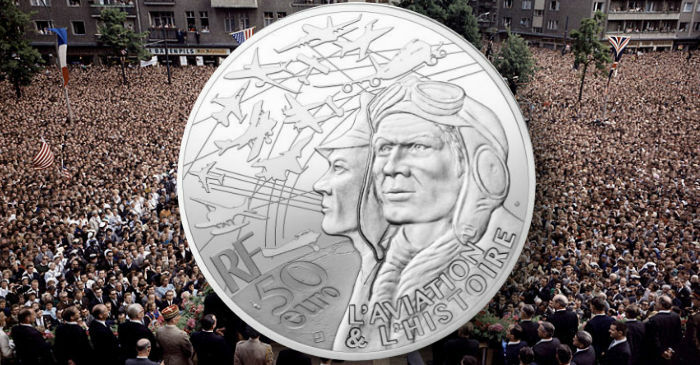 The air-lift would last from the 26th June 1948, when the first planeload of food landed at Tempelhof Airport, until the 12th May 1949, when Soviet authorities lifted the blockade. They offered to do this as a face-saving exercise, demanding the western alliance offer to withdraw their plan to introduce the newly established Deutsche Mark currency, which was eventually put into use despite Soviet protestations. The airlift continued until the 30th September 1949, in the face of countless incidents where the planes were harassed and where the USSR attempted to interfere with the deliveries. In the end, the air forces of Canada, Australia, New Zealand, and South Africa participated, delivering a total of 2,326,406 tons of supplies, nearly two-thirds of which would be coal to use for West Berlin’s energy needs on 278,228 flights to Berlin. The Berlin Blockade would serve to highlight the competing ideological and economic visions for postwar Germany and Europe. The coins, which are produced in gold and silver, share the same obverse and reverse designs across their options of sizes and denominations. 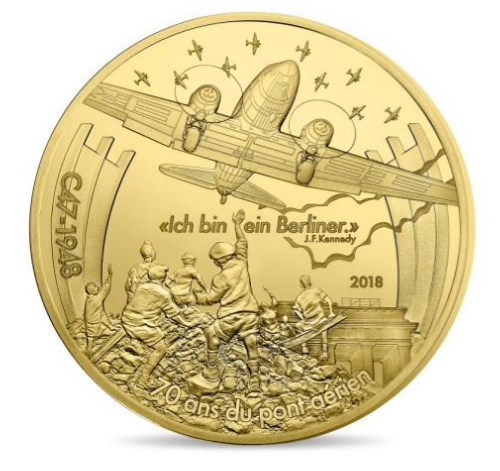 On the obverse, a Douglas DC-3 flies over Berlin and the Brandenburg gate where children wait for supplies and wave to the pilots. In the center is a quote from President John F. Kennedy during his historic visit to Berlin in which he declared Ich bin ein Berliner (I am a Berliner). 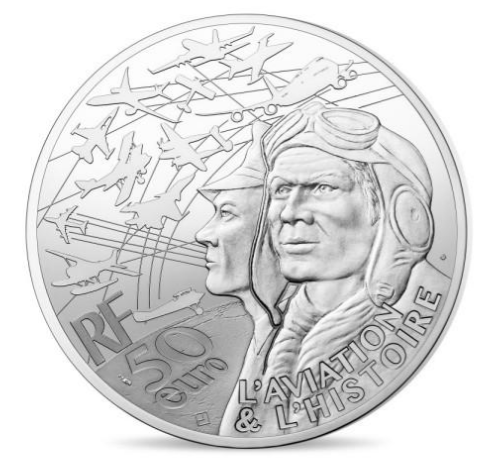 The coin series pays tribute to the major aircraft which have contributed to exceptional circumstances in French history with two specific planes being honoured or highlighted every year. 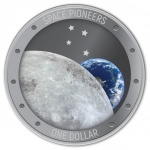 Each coin in the series is available separately and each is encapsulated and presented in a custom-branded Monnaie de Paris case along with a certificate of authenticity. For more information on these and other coins available from the Monnaie de Paris, please visit their website.